The client from Wimbledon SW19 contacted us for PC and Mac computer repair. He wanted our Repair-Engineer to do a home visit in Wimbledon. It was for a few problems relating to a Windows-based desktop computer and a Macbook Pro laptop. The client also wanted us to troubleshoot internet connectivity issue with both these computers. The signals from the Sky router were too low in the basement. Therefore, the laptop and desktop computer would not connect to the internet. Also, on the second floor the laptop would connect to the internet occasionally, but would disconnect every now and then. Our engineer installed a couple of powerline wifi adapters – one in the basement and one on second floor of the Wimbledon house. After installing the adapters, the engineer tested the system and found good signals in all the rooms of the Wimbledon property. All the computers were working fine with the new setup. Powerline Adapters are the best option to boost internet signals without running any additional cabling through your home. 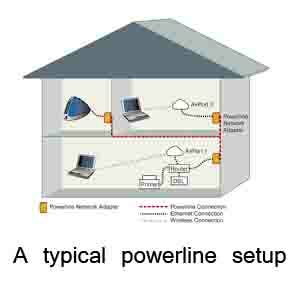 Powerline Adapters are devices that use the electricity power lines in your home to send your broadband signal between your computer and router. They are really useful if the distance between your computer and your router is very long. They are also useful if you don’t want additional cabling running from your computer to your router. 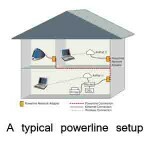 In addition to that, power lines are a much more effective way of transmitting your broadband signal than extension wiring, ensuring your connection remains strong, no matter the distance. 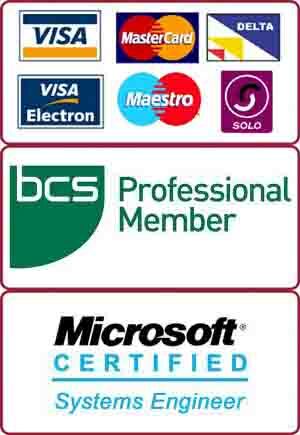 We, at PC Macgicians, specialise in PC and Mac computer repairs in Wimbledon. Our repair centre is based in Putney, just round the corner from Wimbledon. We offer in-house and on-site repairs for computer related problems including virus removal, screen replacement, logic board repair, internet troubleshooting, Operating System repair, e-mail setup, data recovery and power-jack repair.